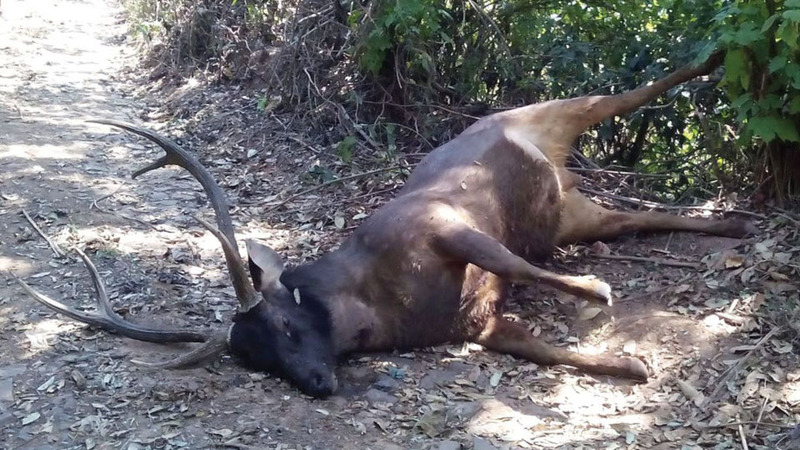 Madikeri: A Stag, aged between 10 and 12 years, was found shot dead at an estate here. The carcass of the animal was found when estate owner Sheshappa was proceeding to the guest house there and he immediately informed the Forest Department officials. ACF Nehru, RFO Vijayakumar and staff examined the carcass of the Stag and found bullet wound near the stomach. Vijayakumar said that a case would be registered under Wildlife Protection Act.